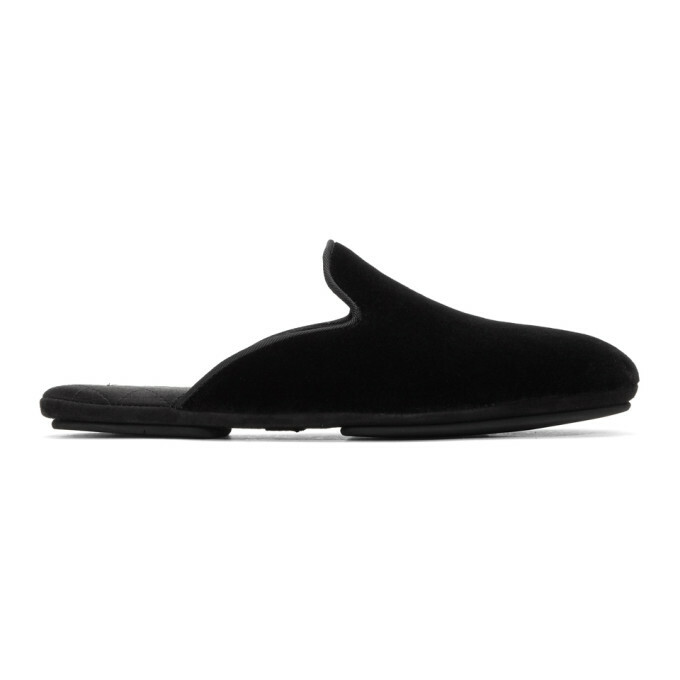 Velvet slip-on loafers in black. Round toe. Tonal grosgrain piping at tongue and collar. Quilted textile footbed. Tonal suede and rubber sole. Tonal stitching.